‘Mental Hai Kya’ makers have taken to social media to share a new poster of the Kangana Ranaut– Rajkummar Rao starrer. The new poster announces the new release date for the film. While it was previously going to hit theatres on March 29, which never happened, it will now hit theatres on June 21. 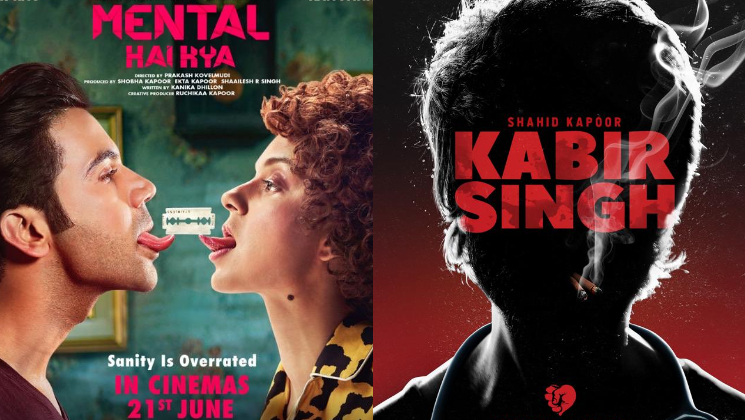 Interestingly on the same day, Shahid Kapoor‘s ‘Kabir Singh’ is also hitting theatres. The new poster shows Rajkummar and Kangana balancing a blade with their tongues. It’s quite crazy we must say. To be fair, the makers had released loads of crazy posters of the lead couple when the movie’s shoot was about to begin last year. This is just taking that a notch higher. The two films have totally different audience bases and it will be interesting to see if they go ahead to fight it out at the box-office or not. Will either of them shift the release date to give the other a clean release? Only time will tell.